I got a mail from a good friend that had read my last entry on Sitges. He was eager to share some new information from this seaside resort. Here are his news. Casablanca Bear Bar unfortunately had to close. Bar el 7 looks (at least from the photos) like a alternative place to explore. It is located not far from Al Fresco. If you Google "bar el 7 Sitges" the first site listed will show you some photo galleries of the place. 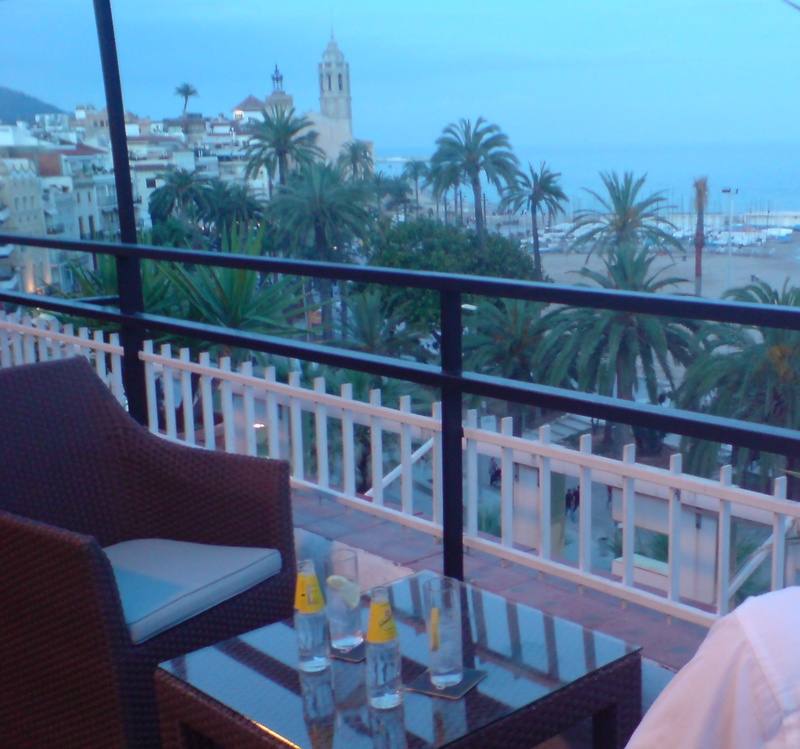 The other place put on our radar was the Hotel Platjador, listed as the #1 for TripAdvisor for Sitges hotels. 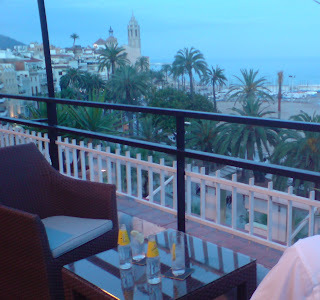 It has a very nice open air bar on the top roof overlooking the ocean which my friends visited a couple times. One doesn't have to be a hotel guest to visit their rooftop bar - just take the elevator up. The Hotel Platjador looks great and it even has a pool. It gets great reviews for its breakfast - although perhaps not with the same breakfast atmosphere as La Santa Maria's.